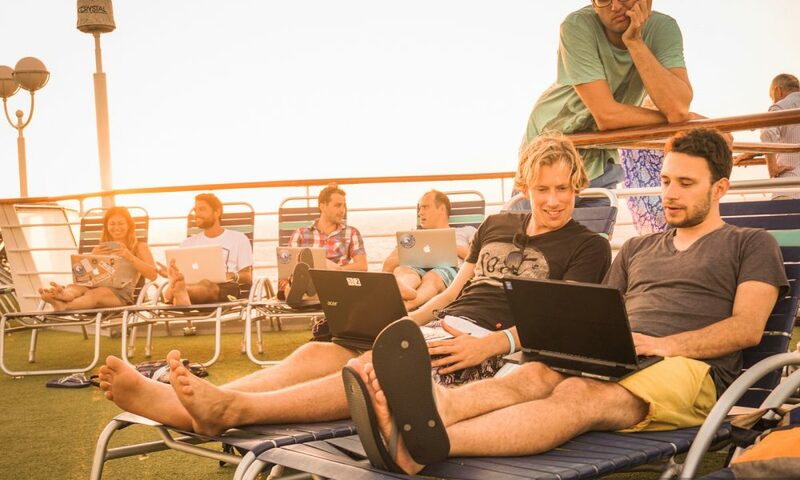 Join 250 digital nomads on a cruise ship. Share knowledge, good times and make friends for life while crossing the Atlantic Ocean. 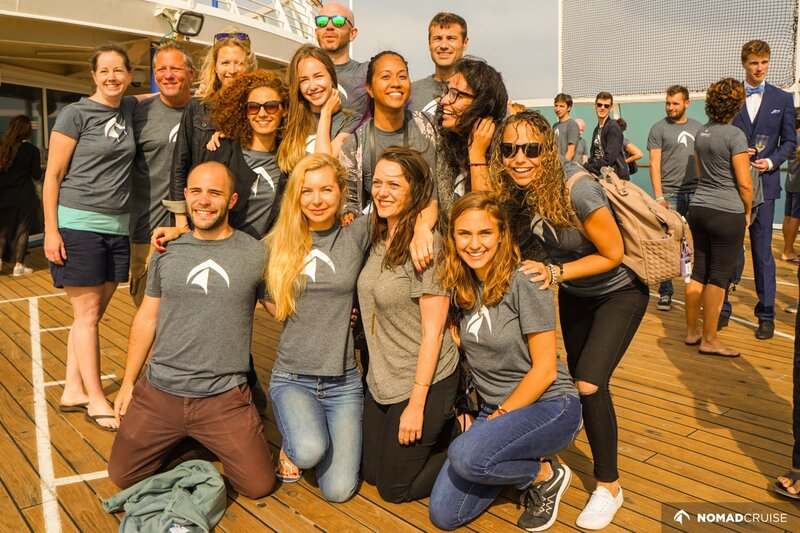 Join in when over 250 nomads team up to cross the Atlantic from Spain to Panama together. 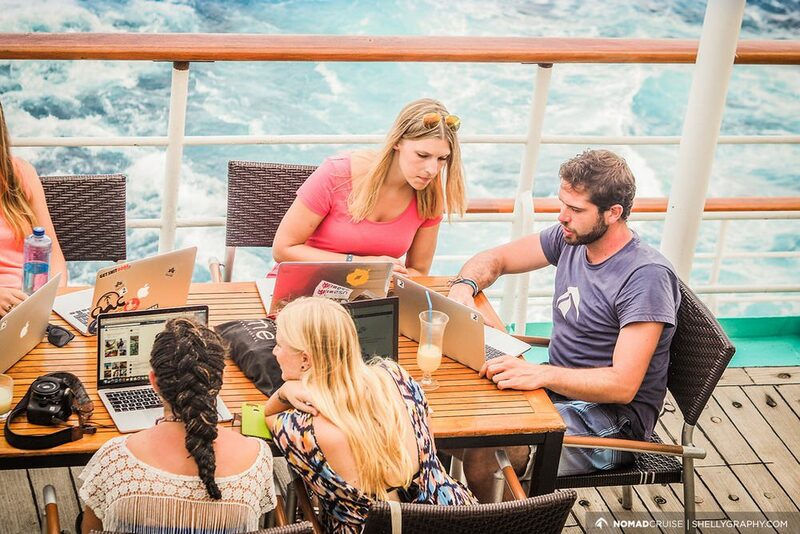 Connect, collaborate and share your skills on a fourteen-day cruise that will change your life. 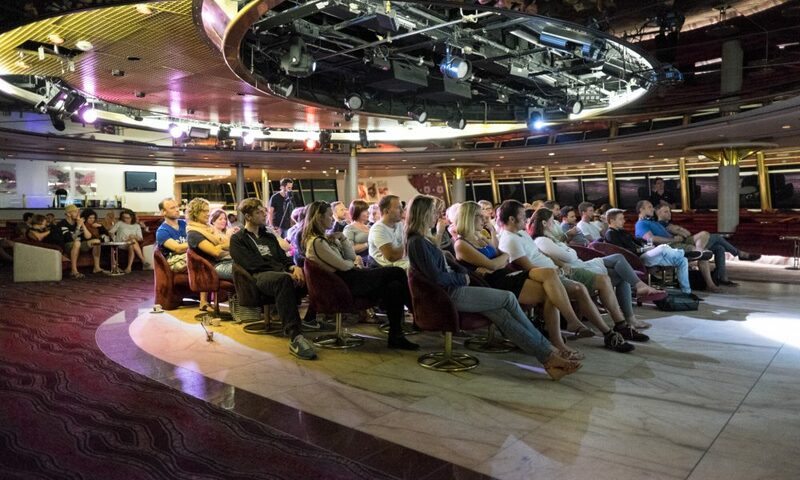 Meet like-minded people, broaden your horizon every day, learn during talks and workshops, and engage in thought-provoking conversations while crossing the Atlantic Ocean. 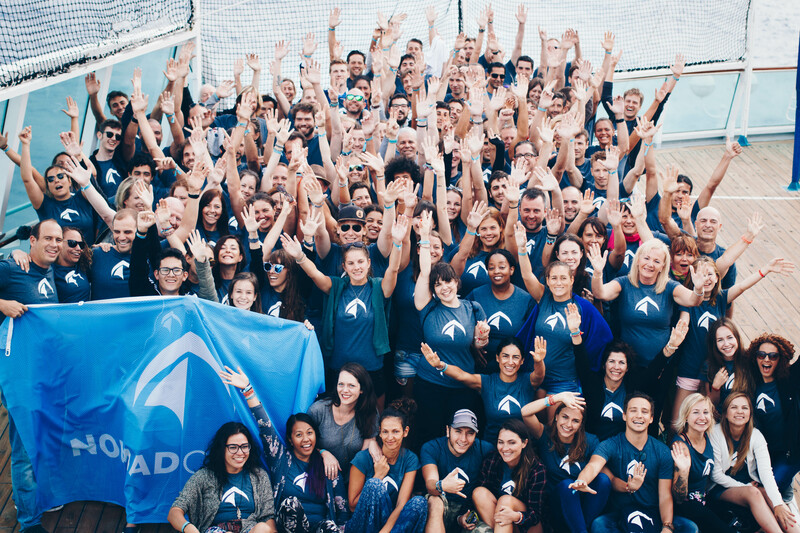 We believe that sharing knowledge, skills and experience is the foundation of an open-spirited community on board. 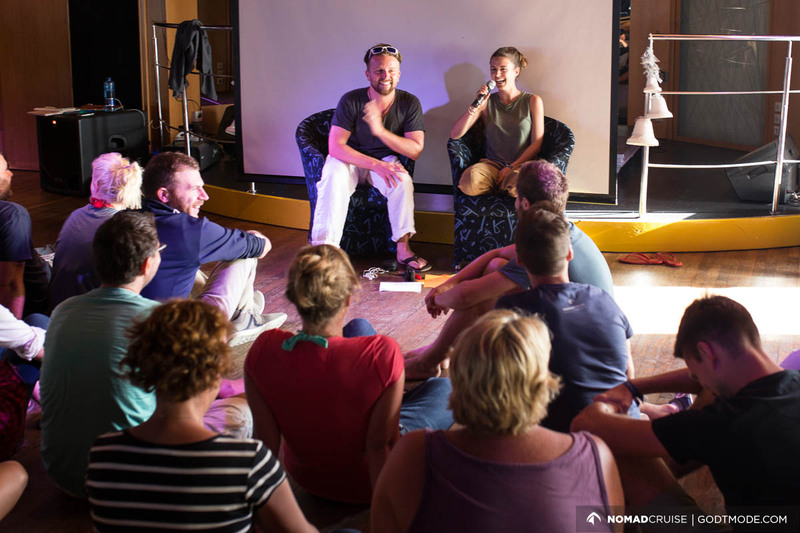 To create an environment of cooperative learning and developing, we organize talks, workshops, and meet-ups with the help of our participants. No limits, but new horizons every day. 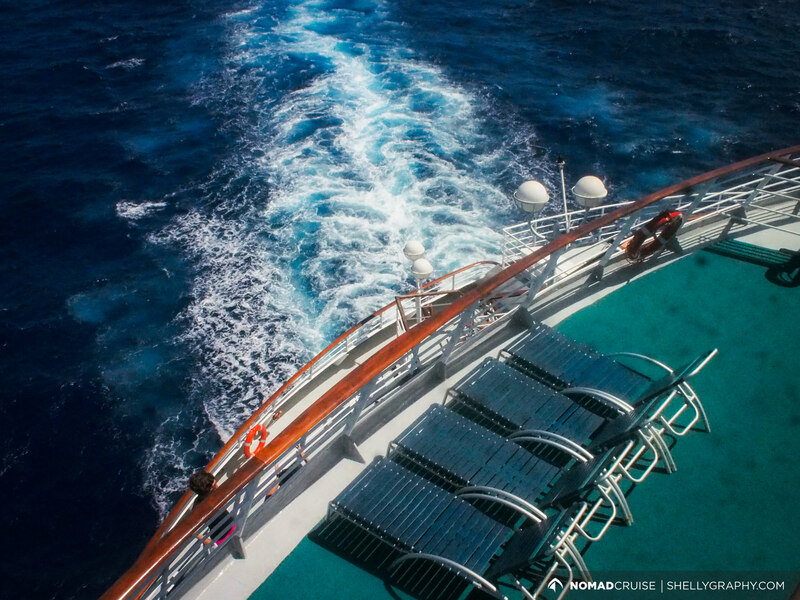 Check out the Nomad Cruise program from trip III and IV. Listen to the thought-provoking talks in the mornings. 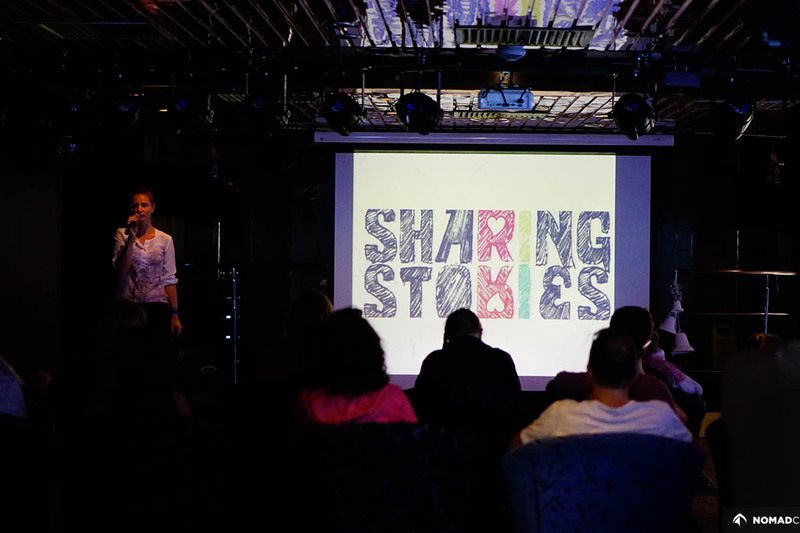 Let our community speakers inspire you to reflect and reconsider – or take the chance to contribute yourself and become a speaker to share your story, your wisdom and your experience with the community. Extend your knowledge in our afternoon workshops, where members of the community get you engaged in the topic of their expertise. Embrace these new insights – or broaden the horizons of others in a workshop session that you design. 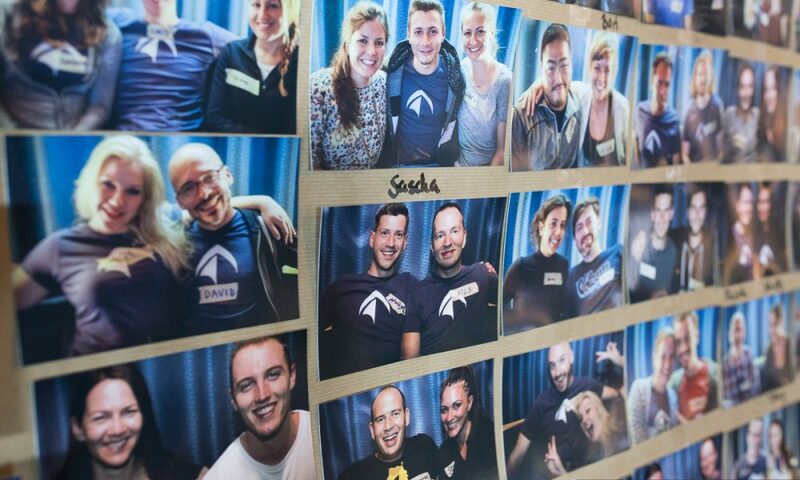 Meet the people you want to meet. We provide you with the opportunity to exchange your thoughts and discuss your ideas in small groups of people, enlighten them or ask for their experience. 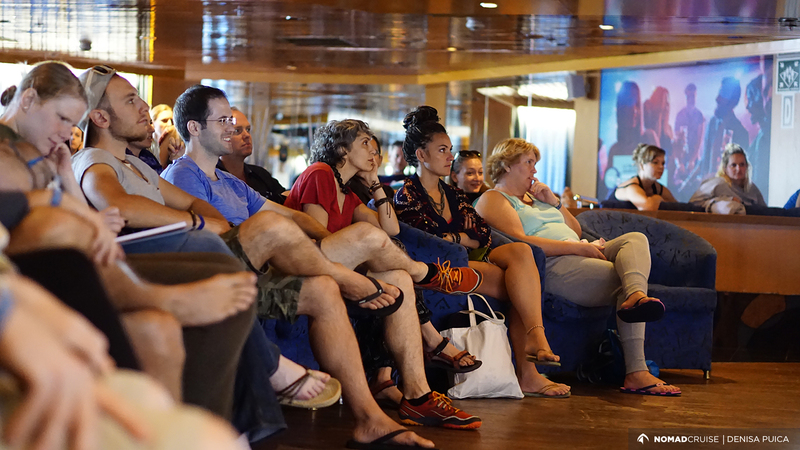 Every pot has a lid, and at Nomad Cruise every interest has its group. Problems can be solved. Nomad Cruise will allow you to gather a group around you that will provide you with valuable ideas and impulse to resolve your issues strategically. Open up once, and you will be rewarded many times! 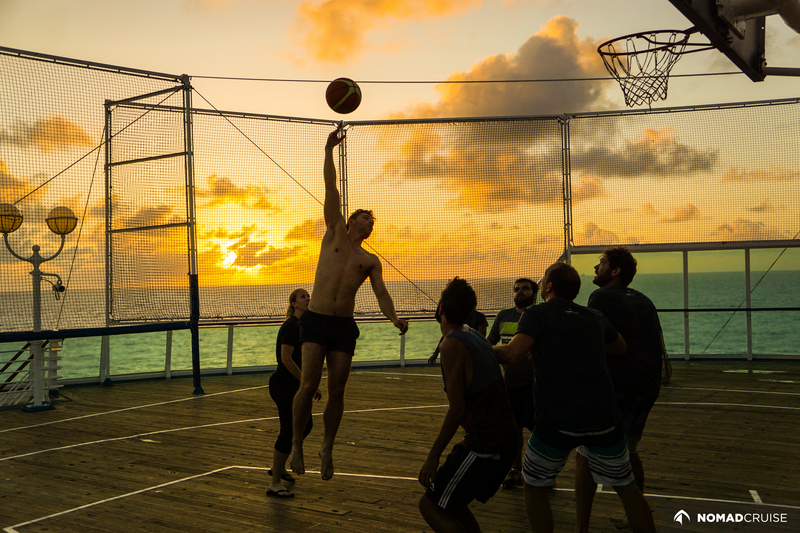 Work hard – play hard. The conference days are full of food for thought. 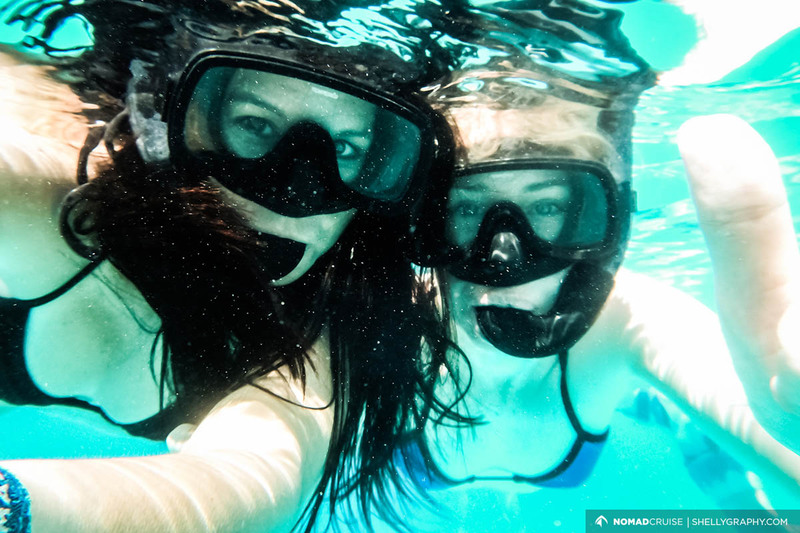 On island days it’s time to team up and explore the islands with other participants. From volcanic hills to sandy white beaches, the Caribbean will spoil us with its finest features. 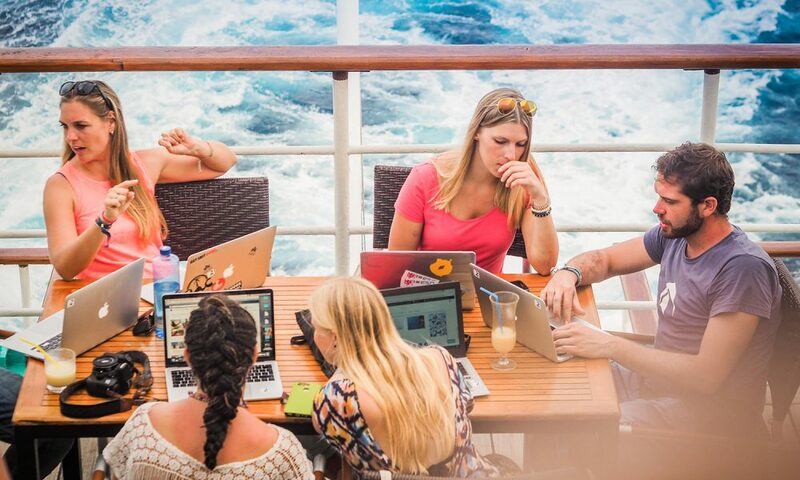 Being stuck on a ship with over 150 Nomads provides exceptional networking opportunities – be it at the pool bar, over a dinner or coffee. 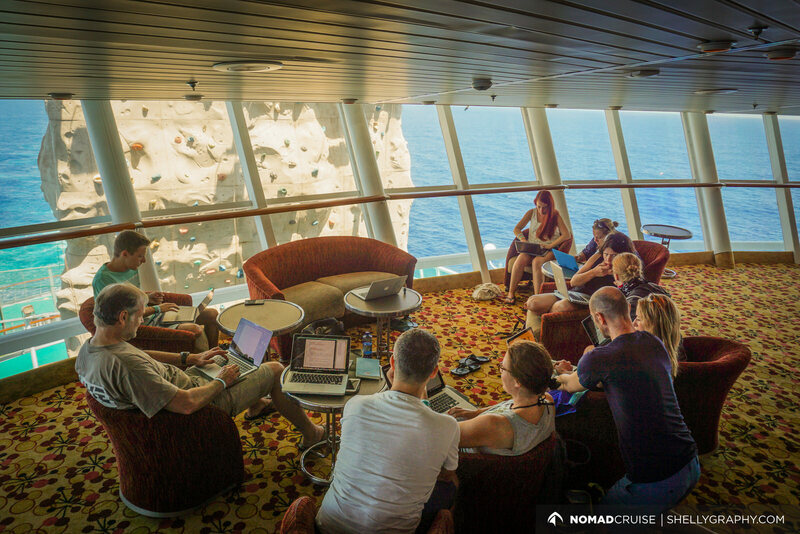 We’ve seen nomads starting new businesses, collaborating and teaming up to work and travel. 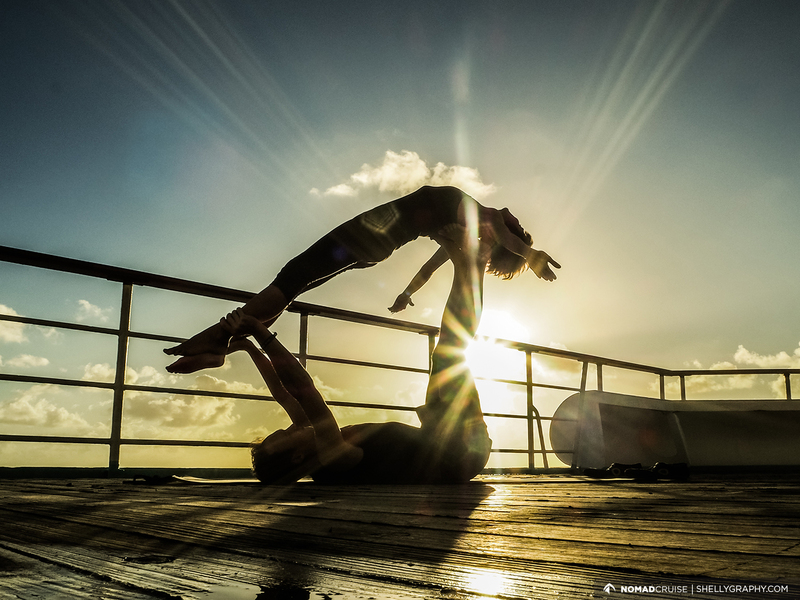 As the European summer ends, we will follow the sun all the way to Central-America. Our next trip in September will take us from the port of Las Palmas, Spain to Colon, Panama. Las Palmas is the capital of the Spanish island Gran Canaria off northwestern Africa. 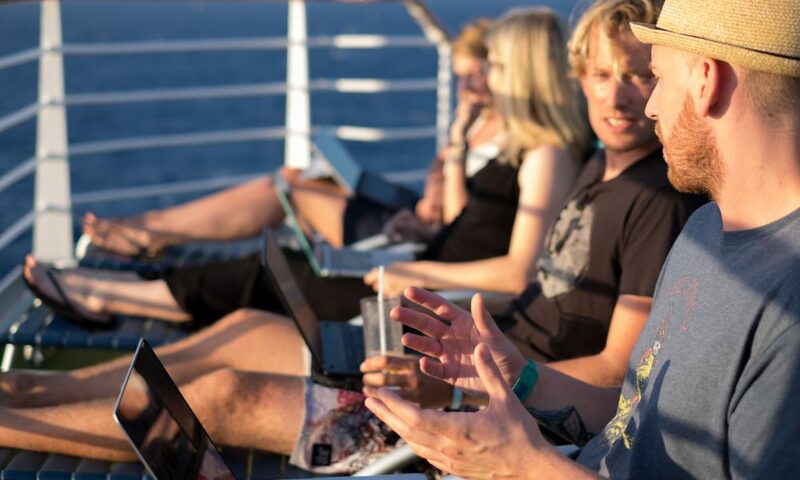 It is alleged to have to best climate in the world, combined with sandy beaches, good surfing, outdoor life and a vibrant digital nomad scene. 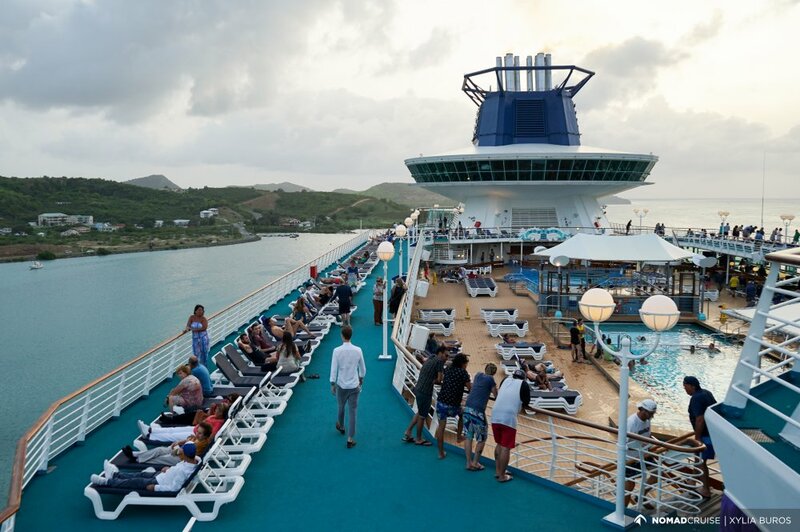 After 7 days at sea, we will visit the three tropical islands of St. Maartin, Curacao and Aruba. 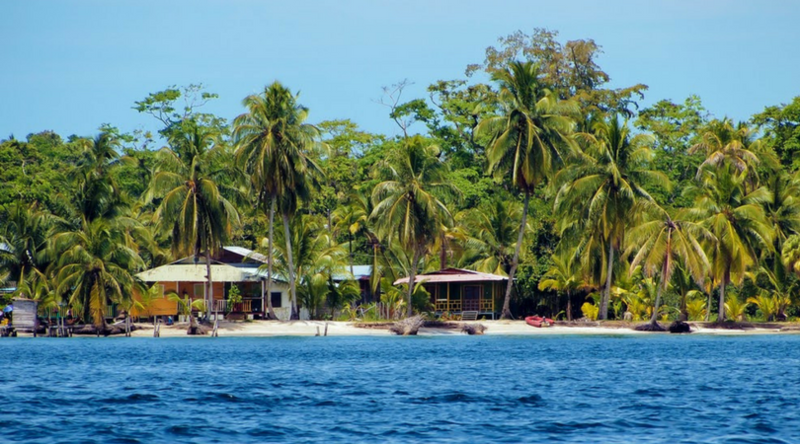 Our final destination Colon will also be our starting point to explore Panama by trekking through rainforests, watching Congo drumming or sailing between pristine tropical islands. 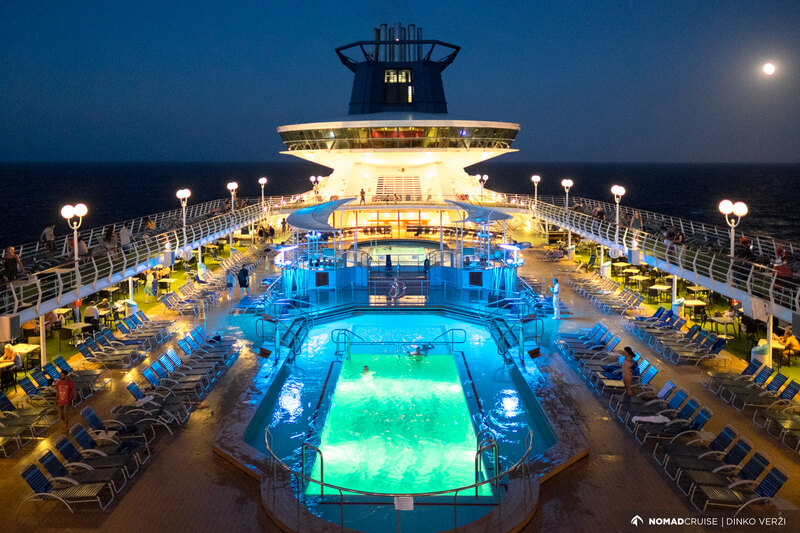 Enjoy the comforts of an all-inclusive cruise ship! 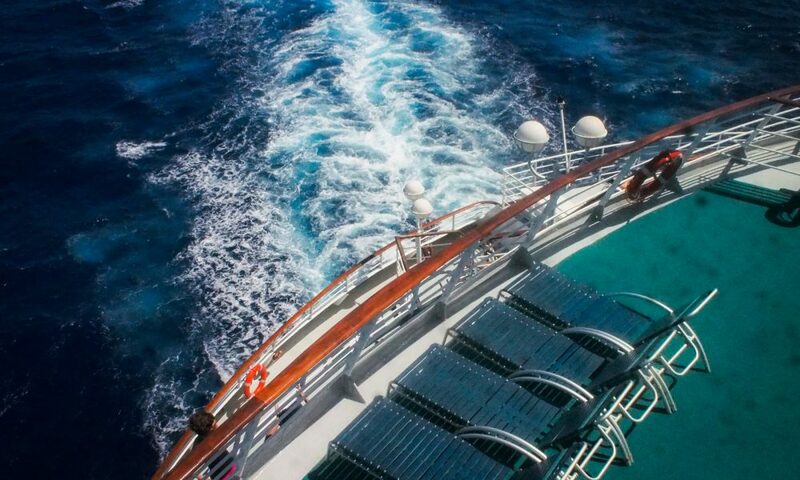 We’ll be back on the Pullmantur MONARCH, with 268m length one of the largest ships in the Pullmantur fleet. 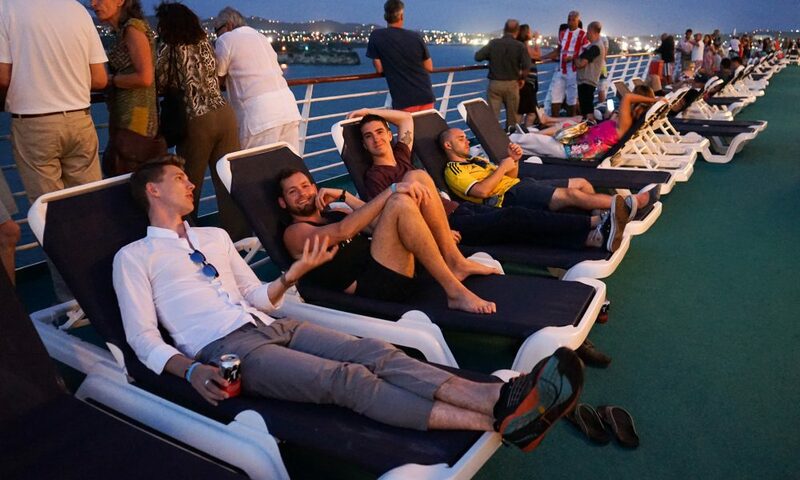 We’re familiar with this ship as it has taken us back to Europe before. 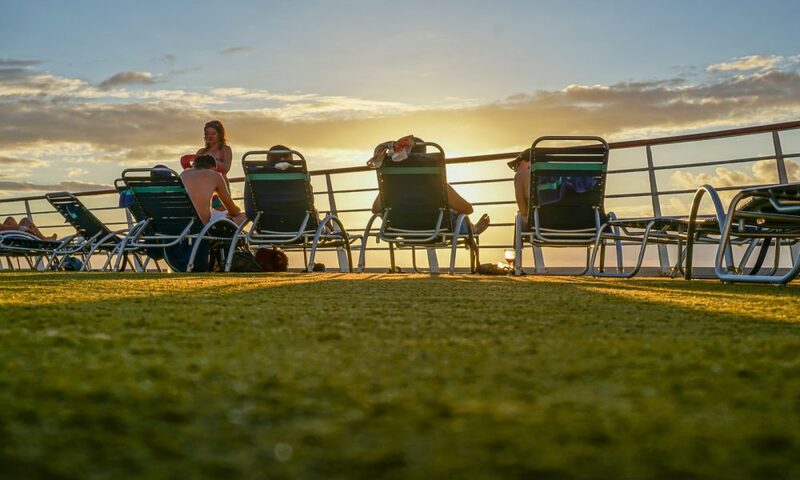 We can’t wait to welcome you aboard of our home for two weeks again. 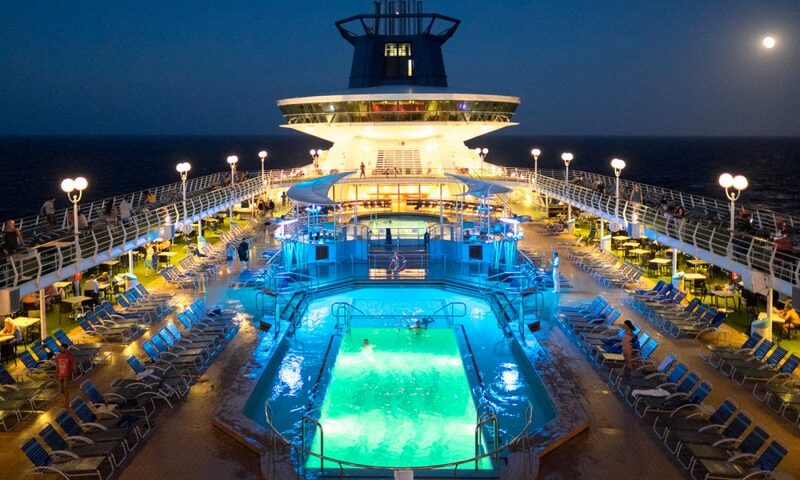 It will provide us with all the perks of life on a cruise ship. You’ll be able to use most facilities free of charge. Additional charges only apply to some services such as spa, laundry and casino. 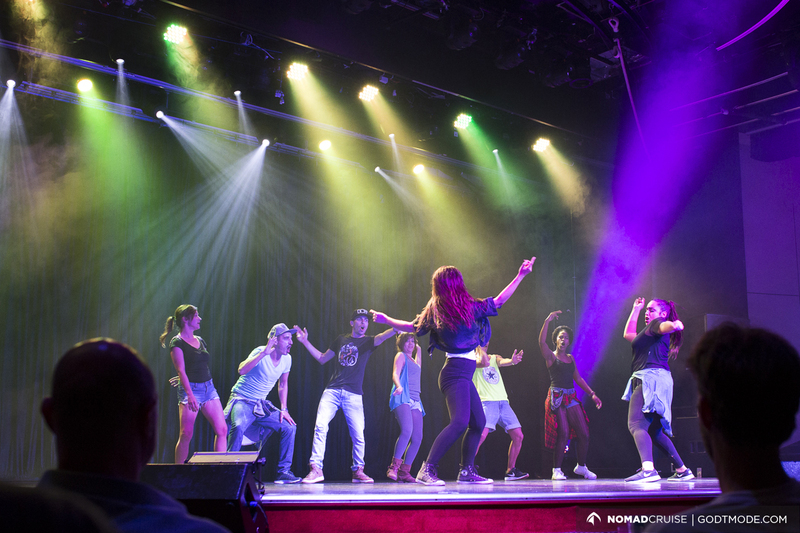 It’s hard to get bored on Nomad Cruise. 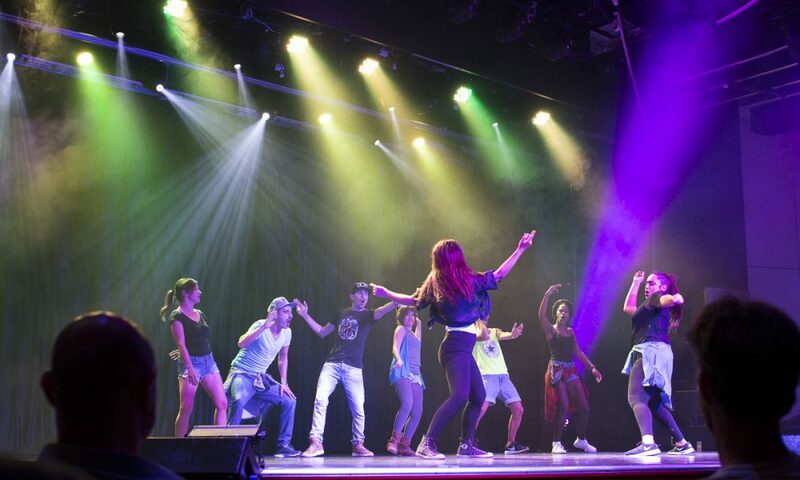 Meet other participants in one of the 5 bars, enjoy the Spa and visit the Broadway Show in the evening before dancing your night away in the disco. 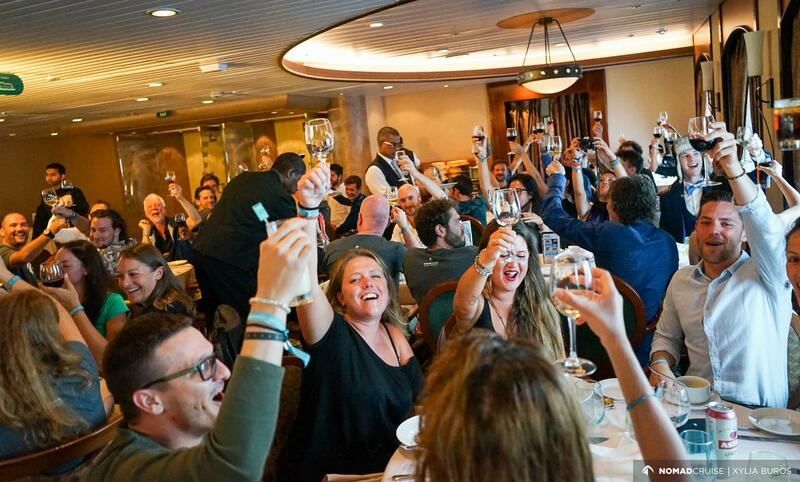 All meals are included at Nomad Cruise. 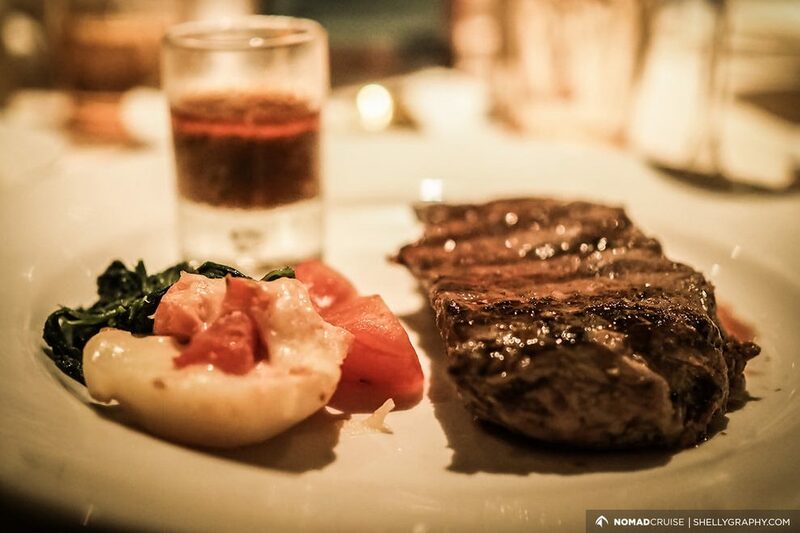 Enjoy the breakfast and lunch buffet and join us in our private dining area for a 3 course meal at night. The wide variety of food perfectly serves vegetarian and vegan needs too. Yes. 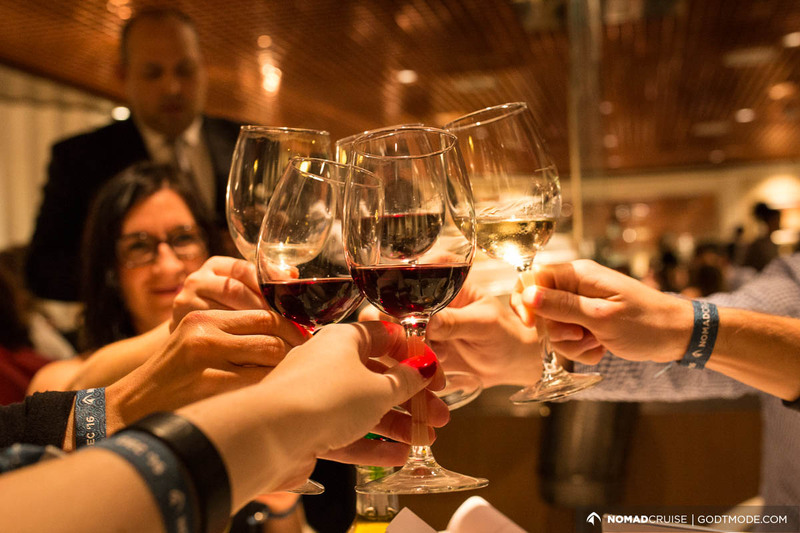 All alcoholic drinks on Nomad Cruise are free too! 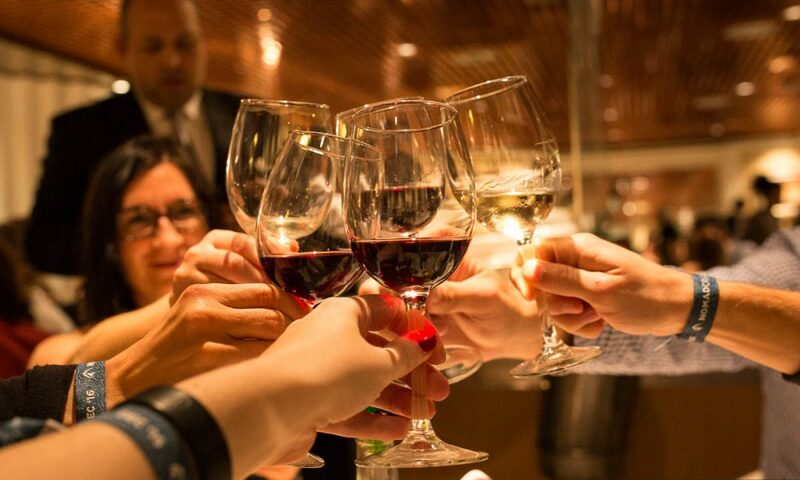 Although in order to make the best out of your journey and get enjoy the nights at their best we do recommend that you drink in moderation ;-). Staying fit was never easier! You have plenty of choices to work out: a gym, a jogging track, a basketball court, table tennis, a climbing wall and 2 swimming pools. The jacuzzies are there to help relaxing afterwards! Starting from only € 900 per person! 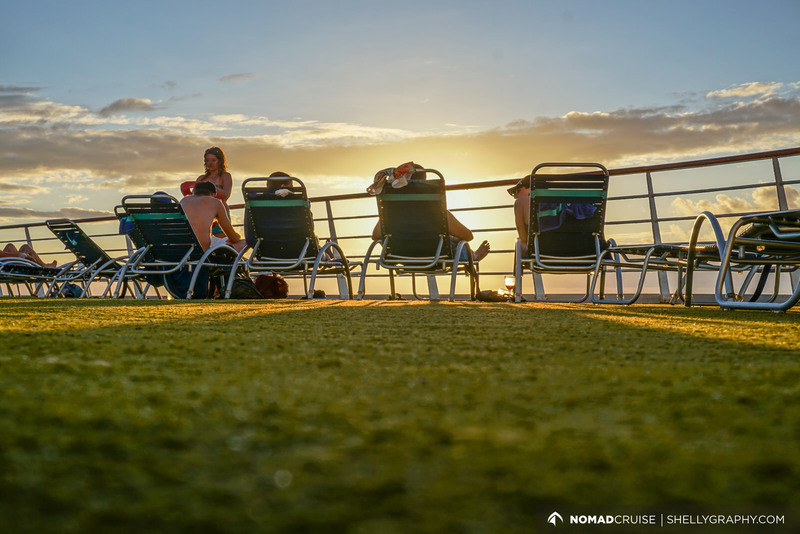 If you’re heading to Central-America this fall, you can save the money for your flight and get there in style with Nomad Cruise! *Price includes port taxes € 145. Early commitment is essential for our planning. Therefore we reward those who book early with best prices and cabins. To book your ticket you will only have to pay a non-refundable deposit of € 150. The full payment is due 60 days prior to departure. 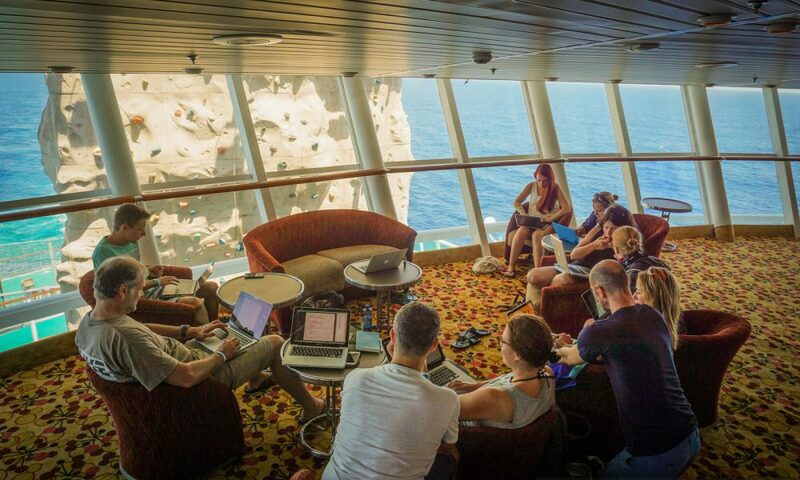 You can book a shared cabin to save costs. If you don’t have anyone to share the cabin with, we will select another like-minded roomate of the same age and gender for you. 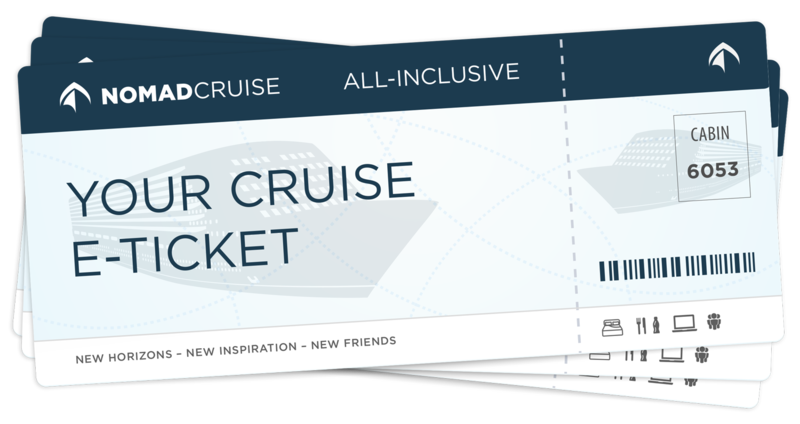 Prices include cabin, nomad cruise program, taxes, all drinks and meals, meet-ups before and after departure. Not included: A service charge of € 134 per pax – to be paid on board. Premium services like WiFi, Spa and Casino are not included either. 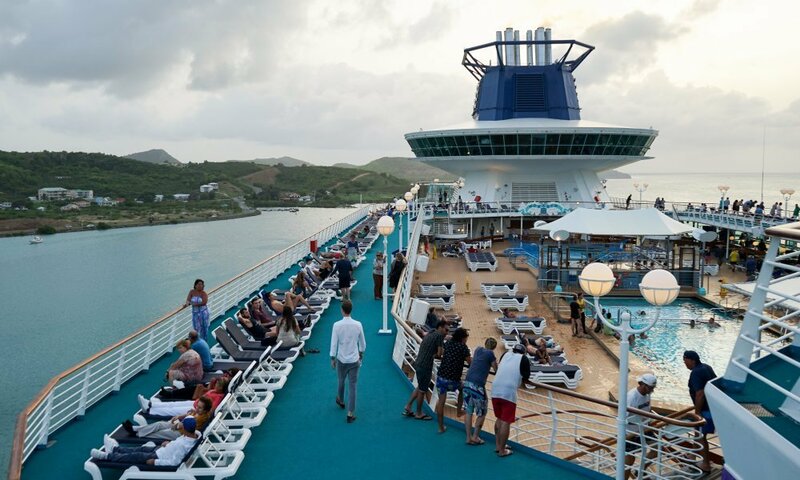 Over the course of our past cruises we have realized that the moment of arrival in our final port is never really the end. 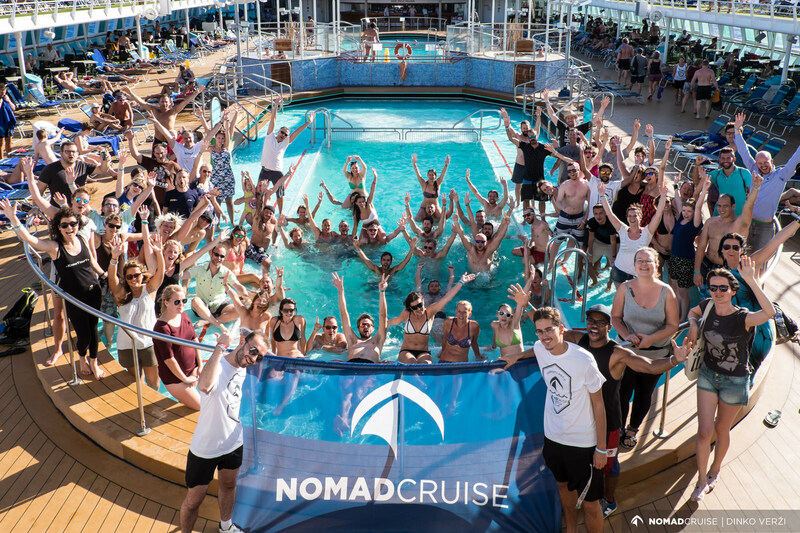 It’s the beginning of something new – by joining Nomad Cruise you will become a part of an active, inspiring community with members from all over the world. In this community we keep in touch. We support each other. We realize great ideas. We travel to awesome places. 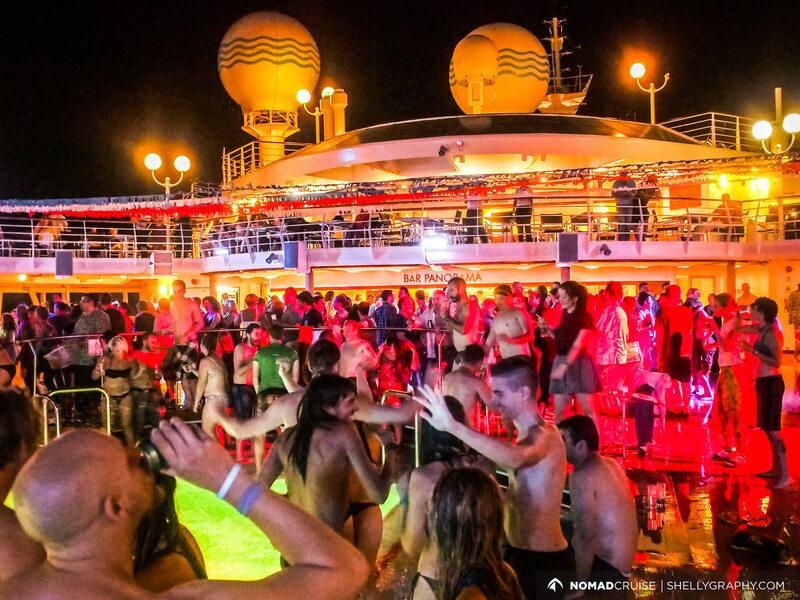 What happens after the cruise? We’d like to invite you and join us to the beautiful archipelago of Bocas Del Toro after the cruise. We are going to organize several meet-ups for our group and enjoy this unique place in paradise together. 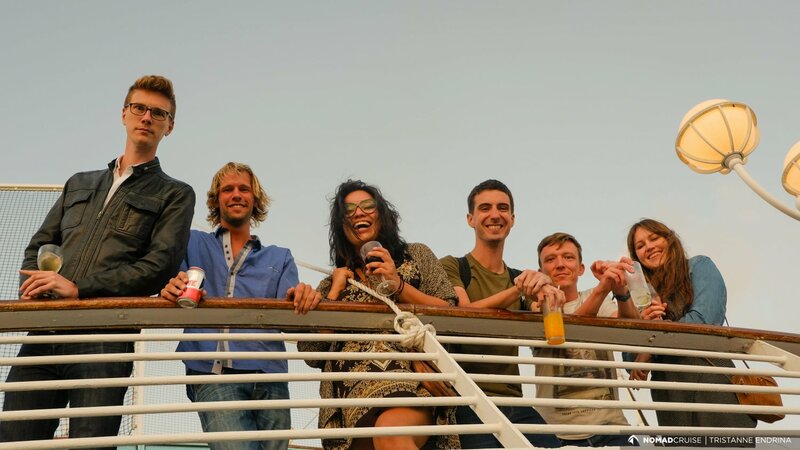 What happens after Bocas is up to you :) Use your new community to continue your journey and work and travel the world together with your new nomad friends. 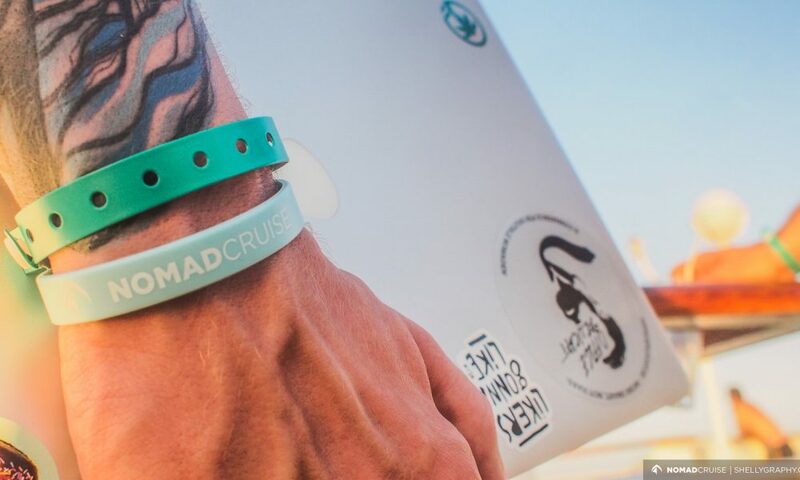 We’ve listed below the most common questions and answers about Nomad Cruise including: application process, cost of the event, refund policy, and more, to provide all the information you need about participating at Nomad Cruise and what to expect at the event. The ticket prices depend on the type of cabin you choose and on the port of departure. Prices start at around € 600 and go up to €1,200. 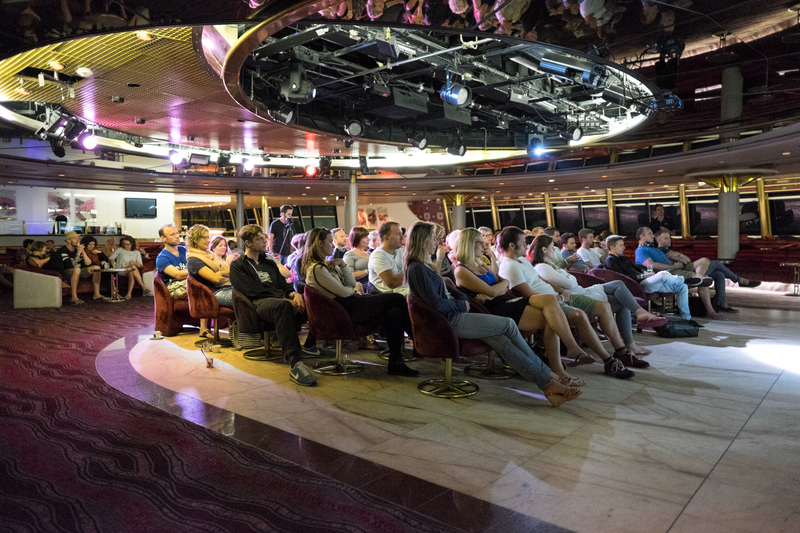 Access to our private venue on board, where most of the Nomad Cruise program takes place. 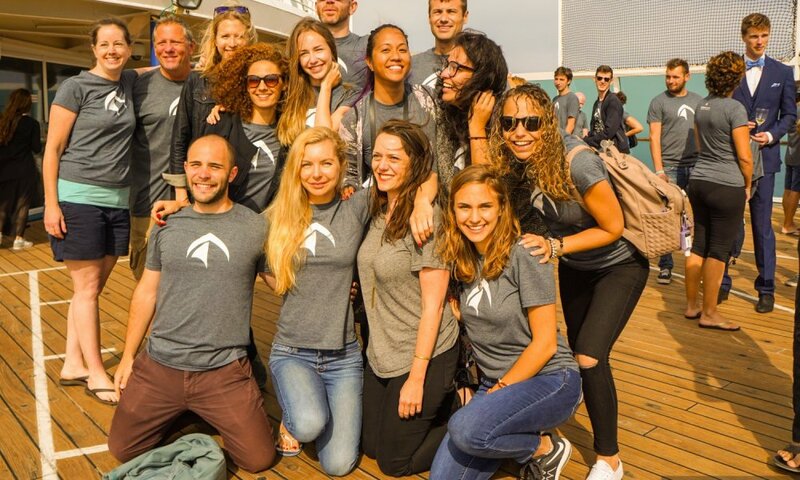 Meet-Ups in Spain and Panama. 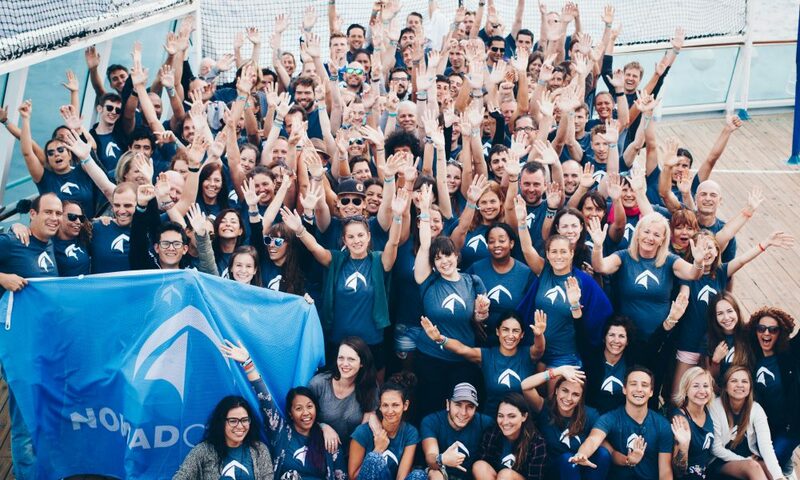 Access to our Nomad Cruise Alumni community (after the cruise). Airfares, visa fees, on board service fees, Wifi (more info below), island excursions and other additional services like premium brand drinks, spa or laundry are not included in the price. Besides credit card and bank transfers we do also accept Bitcoin payments. 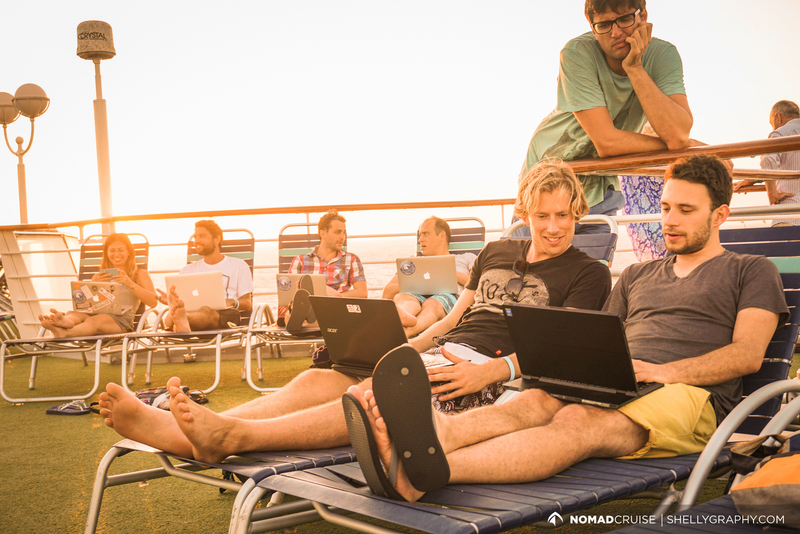 Please send us an email to info@nomadcruise.com if you’d like to pay with Bitcoin. You will have to make your own flight arrangements to our start and final destinations. To start your research, we can highly recommend Kiwi or Google Flights to start your research. 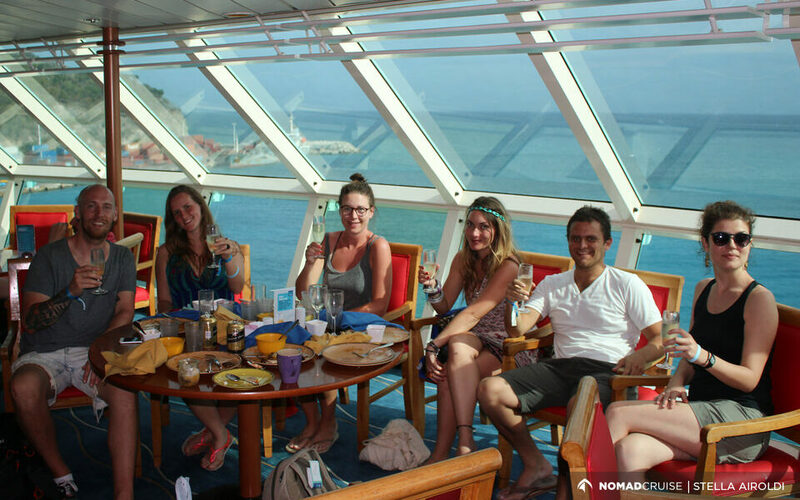 Most cruisers arrive 1-7 days before departure in Gran Canaria. 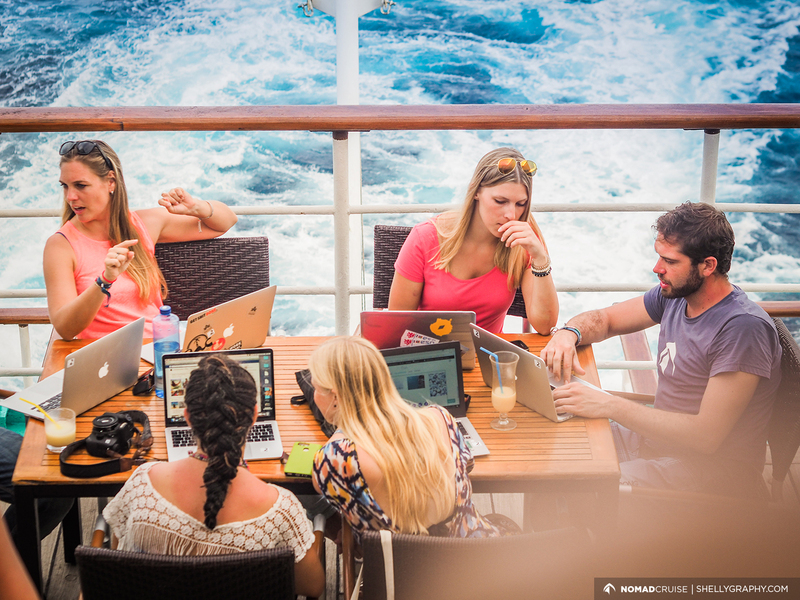 Use this time to already get to know some of your fellow cruisers, or join the Facebook group to experience the Gran Canaria digital nomad scene and connect to other nomads in town. If you can only make your way to Gran Canaria on the 25th of September, we recommend arriving early that day so you can make it to the ferry in time. The ship will depart at 5pm. Check-in will be between 11:30am and 3pm. Any suggestions about accommodation in Gran Canaria? We recommend staying in the old part of town or close to the port, if you arrive just a few days prior to departure. We also recommend asking in our Facebook group that we open 30 days before departure if you’d like to share your accommodation. 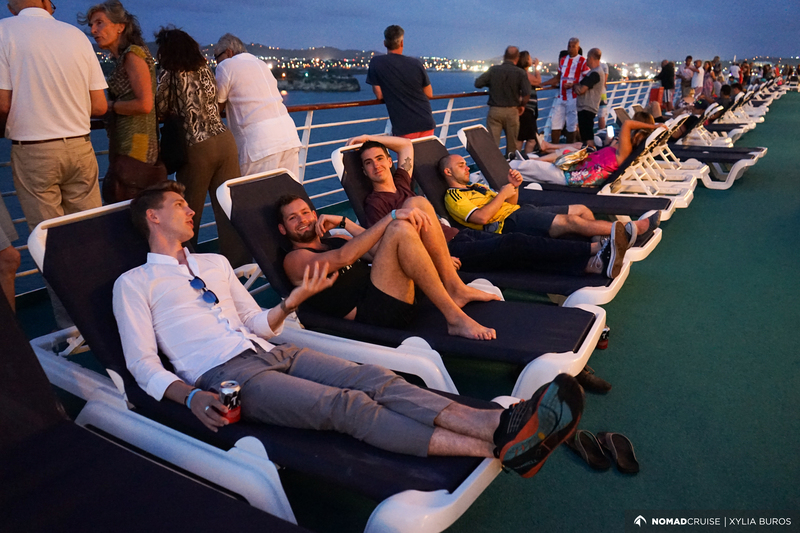 We have been on four cruises by now, and they all have been a little bit different. Our recommendations are based on our experience, and obviously, you know best what you will need on top of that. All interior of the cruise will be air-conditioned. So bring jackets, wraps or thin scarves. Bring one or two swimsuits. With all the networking and socializing and conference going on, you will enjoy some downtime at the pool. The pool is saltwater, but the water in the jacuzzis is chlorinated. Bring sunscreen 50+ and a hat. The sun in the Caribbean is relentless. Las Palmas de Gran Canaria has a subtropical climate, with warm temperatures throughout the year. And though September begins to cool down just a tiny bit from the summer, the sea temperature reaches its highest, making for a great combination of warm water and a cool breeze in the air. Bring clothes according to a 24°C daily average temperature.The currency in Gran Canaria is Euros. The weather in Panama is always very hot, but when you get into October, you will find something else entering the mix as well: rain, and a lot of it. So bring your umbrella and rain jacket if you wish, and again: sunscreen as you will find your skin burning quickly without it! The official currency is the Balboa, but the currency used day-to-day in Panama is the US dollar, which is also legal tender. Yes, apart from the ticket you will have to pay a service fee of € 134 for staff on board – depending on the length of your trip. Other than that, there will not be any surprises or hidden fees. 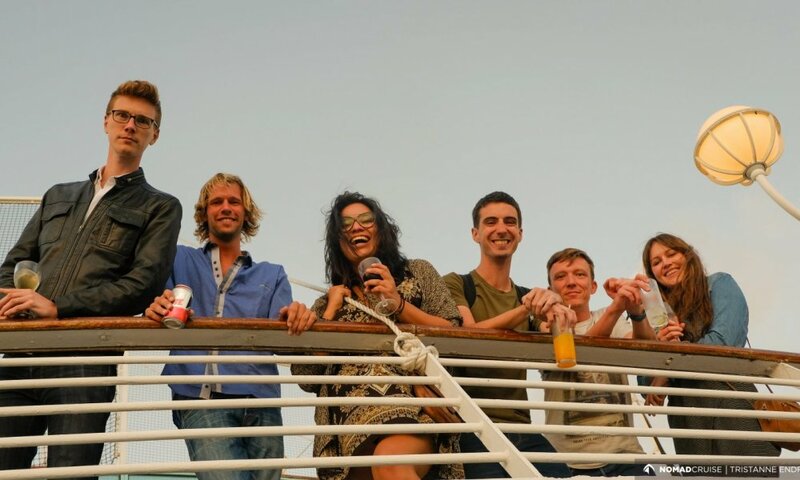 Keep in mind however that additional charges apply for selected on board services such as Wifi, SPA packages, casino, laundry and the à la carte restaurant. However, most services on board are free of charge. Let’s say it’s not exactly fiber optic. We faced a different situation on each trip, so it’s hard to make a general statement. During Nomad Cruise III and it was quite steady, but there were one or two days where it was a little too slow for anything. On Nomad Cruise IV it was good most of the times, but wasn’t working at all for 3 days. We’ve become very cautious after the wifi-connection completely collapsed on NC II – too many of us used it at the same time. We’re in the middle of the Atlantic Ocean after all. We recommend being prepared. Don’t expect anything – appreciate everything is pretty much the ideal strategy here. While this sounds like a total downer, we were surprised to learn, that a large number of participants used all of NC III for a digital detox. They only ever logged in during island stops and other than that kept their devices off. 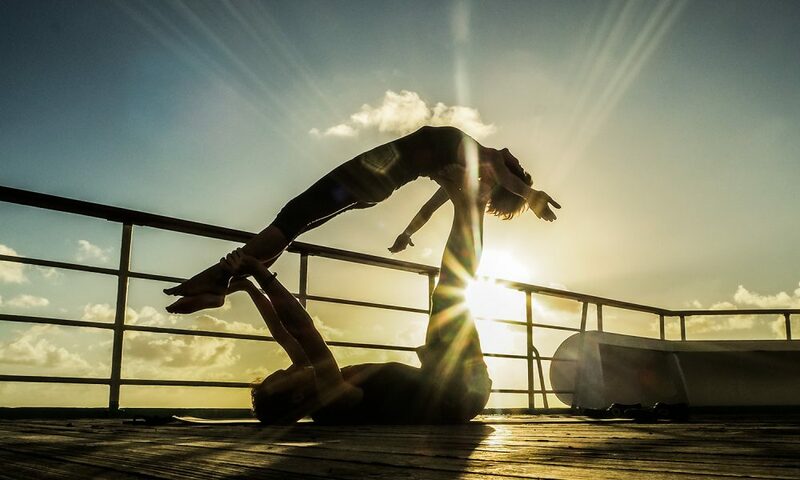 They reported a positive change in their behavior, increased their level of relaxation, and many said that it felt like the first true vacation in years. 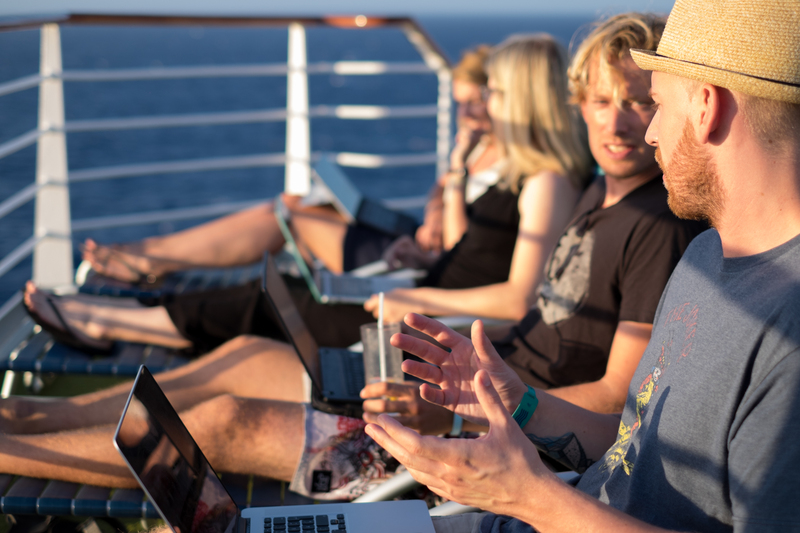 Satellite Internet doesn’t come cheap, which is another reason why we recommend a digital detox, focused on making connections with those on board. There is also an unlimited Wifi plan available, and you can get online for €12/$14 per day. 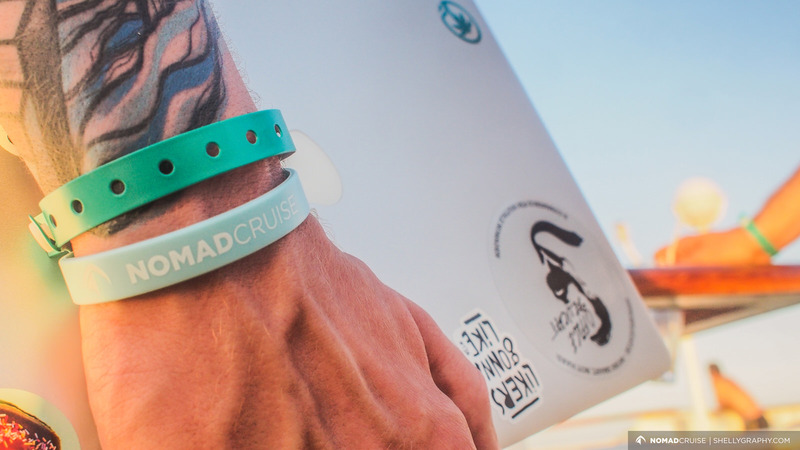 To get the unlimited pack, you will have to pay the €12/$14 per day for each day of the cruise from the first day you buy it until our arrival and can only access the Wifi with one device at a time. 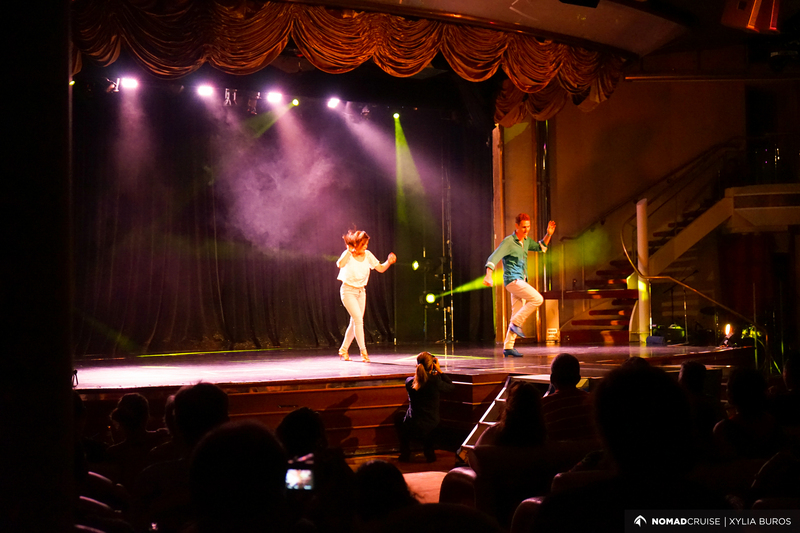 One of the fun things about Nomad Cruise is that there is something different going on every day. 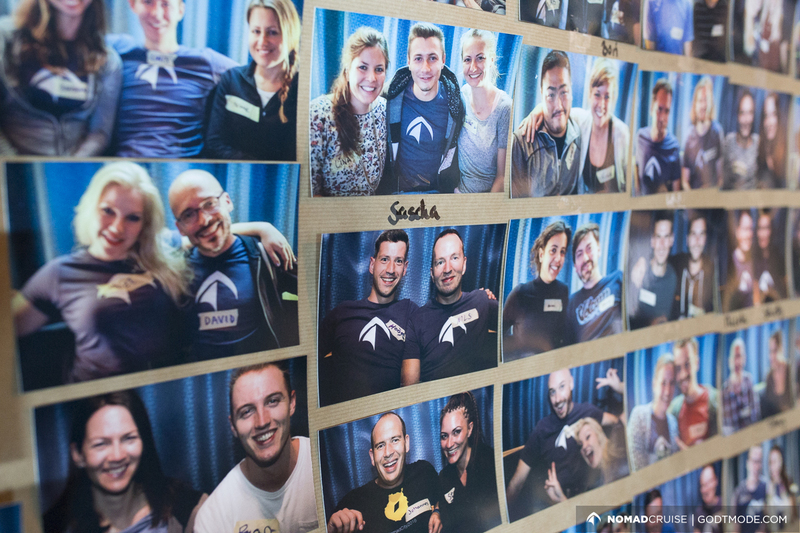 In the beginning, we focus a lot on breaking the ice between our 150 participants. While that’s not too hard, as they are carefully selected through our application process, it’s an important part to develop the community vibe early on. If you would like to contribute as well please fill out our workshop form. We are looking forward to hearing from you! 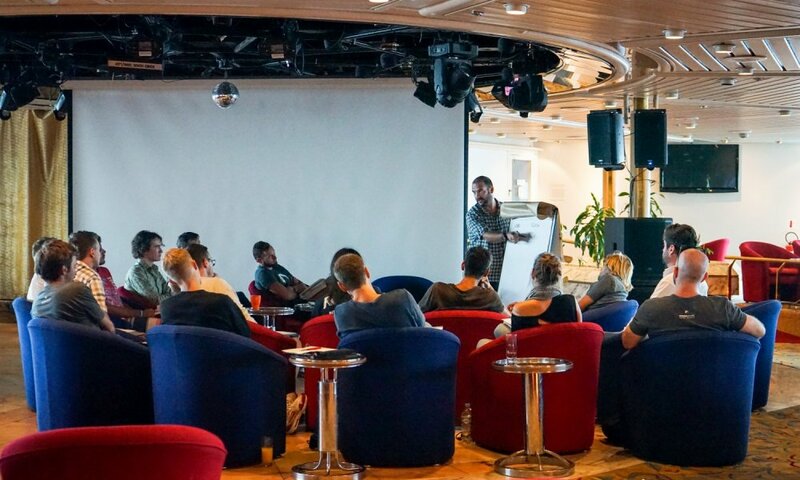 Two weeks on a ship. Isn't that boring? What time do we arrive in Colon? We arrive at 07.00 in the morning. We suggest not to make early flight arrangements because disembarkation can take a while. 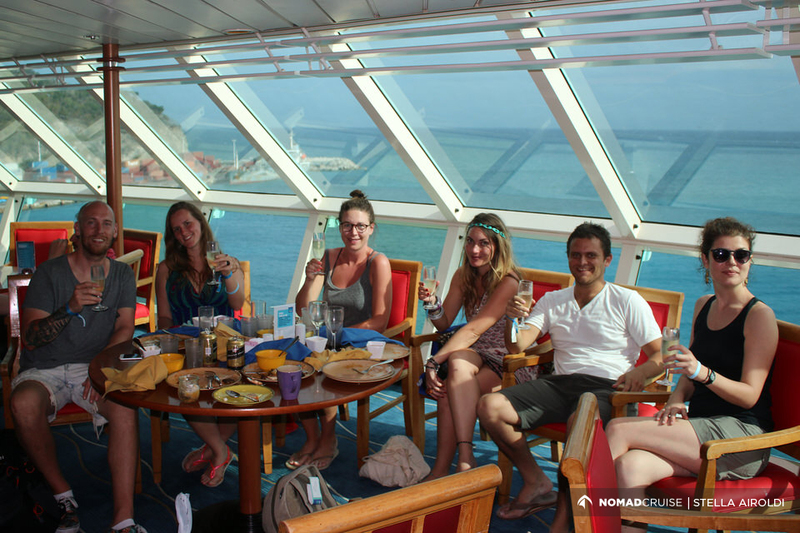 In general we can encourage you to stick around at least one week after the cruise and continue to travel with us to Bocas del Toro. 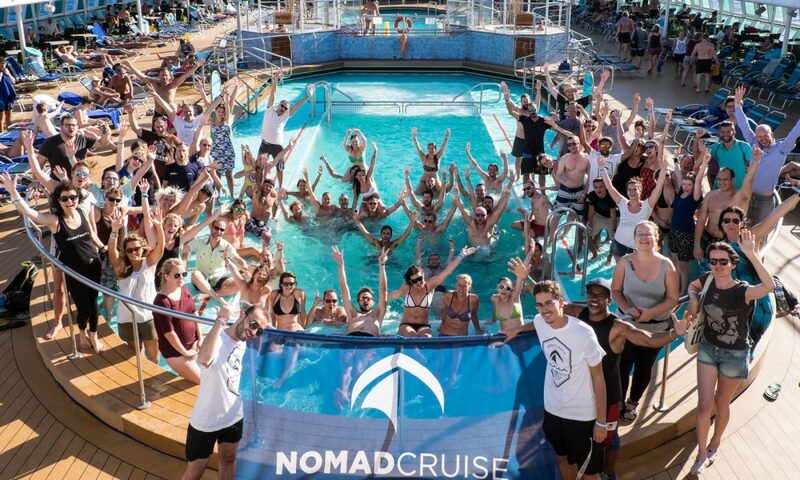 What many of you can’t anticipate is that Nomad Cruise is really just the beginning. After our arrival, everything changes. Suddenly you have a global network of new friends you can rely on, new potential business partners, travel companions, and soulmates. Many team up and travel together or meet in different places in Central- and South-America. After disembarking in Colon, we will organize a transfer that will take us to the nearby Panama City so you can discover the capital, catch up with work, and say goodbye to those who need to catch a plane to another destination. For those of you who would like to continue and travel together after Panama City we can highly recommend Bocas Del Toro, where we’re going to organize another meet-up 5 days after our arrival. 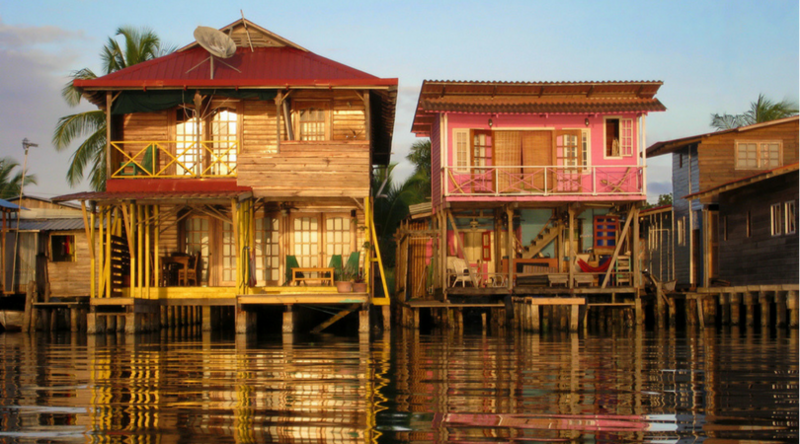 To get to Bocas you can either jump on a 9-hour long bus and a short boat ride, or simply book a plane for around €100. Bocas is an incredible place and we’re looking forward to spending an amazing time there with many of you after the cruise. We would suggest that you stay there at least one week and will recommend some accommodation options in the next newsletter. The weather on board changes as we cross the Atlantic. While Europe will be transgressing from summer to fall as we leave, the Caribbean and Central-America are known for their humid and warm weather year round. Be prepared for a cool breeze and the bit lower temperatures of early fall evenings, tropical nights and hot days. Tourist visas not required for many nationalities for up to 90 days. 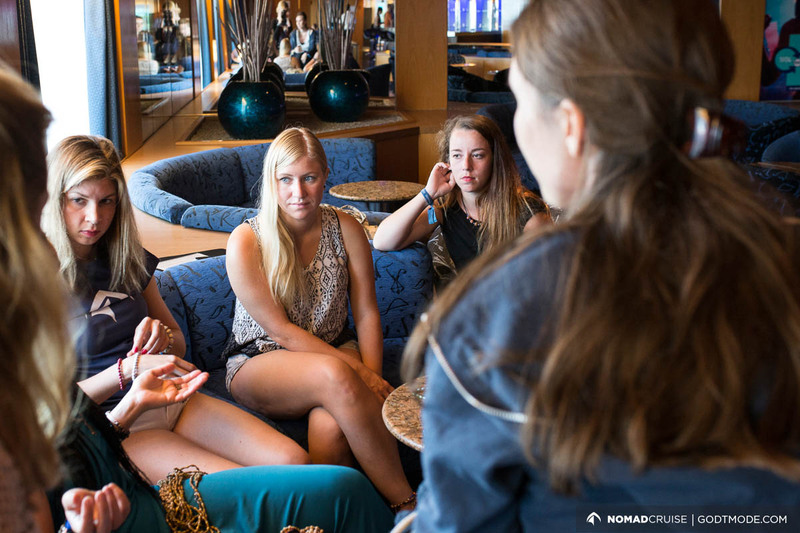 However, Nomad Cruise cannot be held liable for insufficient visas. You must research if with your nationality you need a visa for any of the following areas: European Union, St. Maarten, Curacao, Aruba, Panama.